August – the countdown begins…. Summer is almost over!!! Summer 2010 has proven to be one of the hottest I can remember, but memorable and full of great times. What will I miss most about summer? The outdoor activities of course. The grilling can always happen all year round so long as you can stand the chill when doing so. The seasons also bring different dishes to your table, like my carne guisada (beef stews) and soups, which I will usually prepare during the chilly months. But I discovered that with my IMUSA pressure cooker, I really don’t have to wait! As the temperature peeked in the high 90s; even with air conditioning who wants to stand over a hot stove or oven? 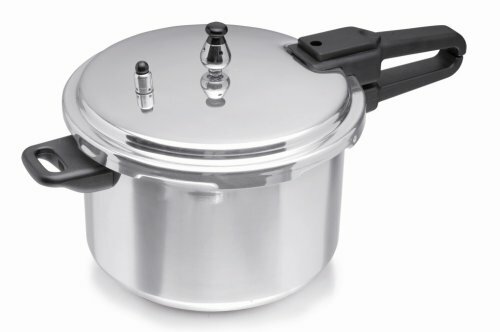 Unlike it’s the older version of the pressure cooker, you don’t hear, see or feel the steam! So while you’re sitting in the living room with a cold beer or iced tea; season and then place your meats in, cover tightly and forget about it! My pulled pork sandwiches were a hit; I placed my ribs and spices in and let it do its thing. Once off, I let the ribs sit and cool down, so when I opened my cooker only the aroma was released not the heat. They fell right off the bone and into my waiting toasted Italian roll. No mess, no fuss and no breaking a sweat. Que maravilla….